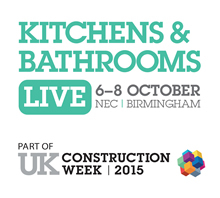 UK Construction Week is the UK's largest construction trade event. 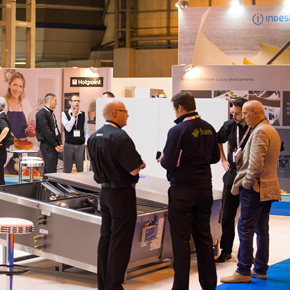 Taking place at the Birmingham NEC from 9 -11 October 2018 the event unites over 650 exhibitors with an audience of over 35,000 trade visitors. 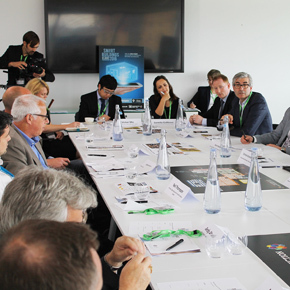 UK Construction Week brings together all stakeholders within the built environment across every facet of design, build and product innovation. 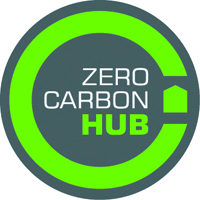 As the largest event dedicated to knowledge sharing, championing good practice and problem solving, it's the environment for the whole industry to look, talk, plan, learn and do business; providing answers for what, when, where and how we build (for) our future. 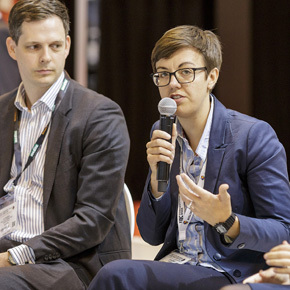 Calls for more investment to end the housing crisis and to boost opportunities for SME housebuilders and developers were discussed on day two of UKCW. 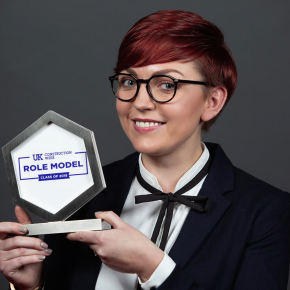 During the show this week, UK Construction Week (UKCW) announced this 2018’s Role Model of the Year, Arleta Andreasik-Paton from Aecom. 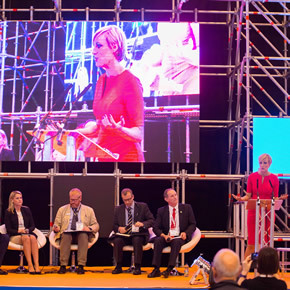 A reflection on the opening day of UK Construction Week, starting with the opening debate at this year’s debate of the trade event. 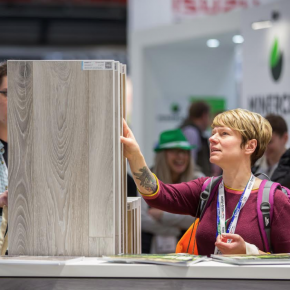 Architects still unsure about whether to attend the Surface and Materials Show will want to see the latest announcements about what’s on at the show. 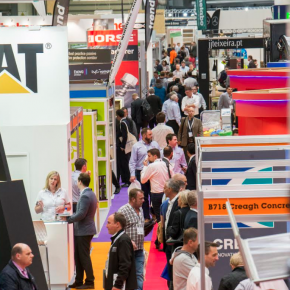 With UK Construction Week just days away, don’t miss your chance to get tickets to attend the UK’s largest construction event. 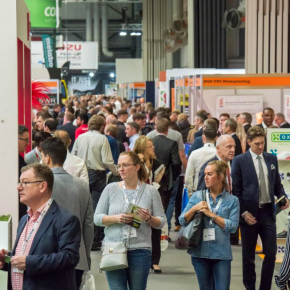 With only a matter of days to go until the UK’s largest construction industry event, here are 12 reasons why you can’t afford to miss UK Construction Week 2018. 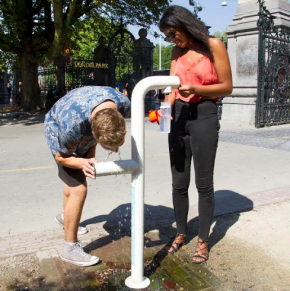 UK Construction Week has announced it will offer free tap water to visitors as part of its mission to reduce the number of single-use plastic water bottles. 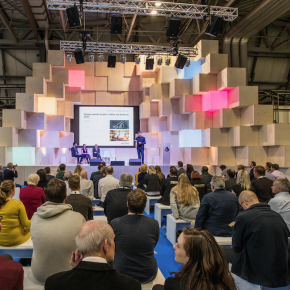 As the UK’s largest construction event, it is important to get the most out of 2018’s UK Construction Week, 9-11 October at the NEC. 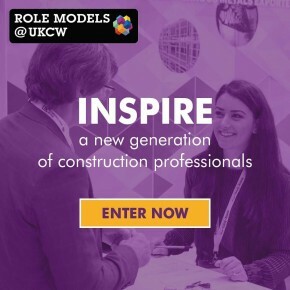 UK Construction Week has this year launched the Role Models campaign to inspire and raise awareness of the roles available in the construction industry. 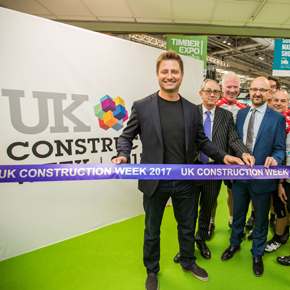 This year’s UK Construction Week offers over 10,000 products and 650 exhibitors, stimulating seminars, and invaluable CPD sessions. 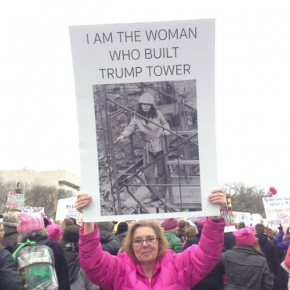 Barbara Res, the project manager behind the striking Trump Tower on New York’s Fifth Avenue, will be delivering a keynote speech at this year’s UK Construction Week. 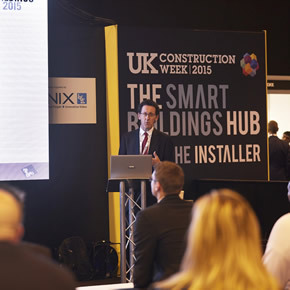 This year’s Build Show is aiming to give builders the most well-informed, forward-looking predictions, innovations and insights they need, as part of UKCW. 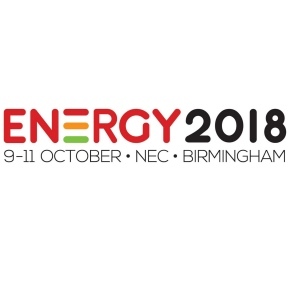 The Energy Show 2018 is set to take place from 9th to 11th October at UK Construction Week, with a focus on renewables. 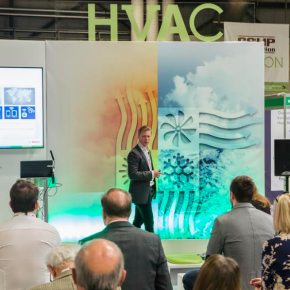 HVAC 2018, the show dedicated to heating, ventilation and air conditioning in the built environment, is set to return to UK Construction Week in October. 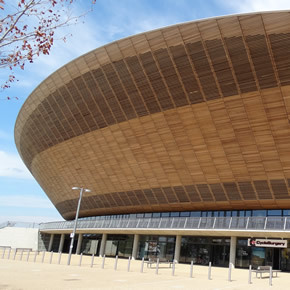 Innovative products cladding to coatings, panels to plumbing and flooring to finishes to be expected at 2018’s Surface and Materials how at Birmingham’s NEC this October. 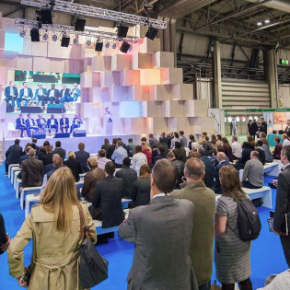 This year’s UK Construction Week (UKCW) will be focusing on innovation when it returns to the NEC in Birmingham from 9 to 11 October. 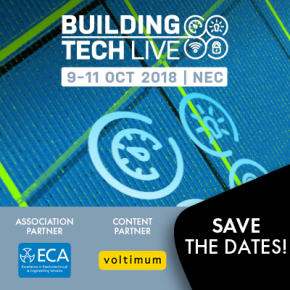 Building Tech Live is set to be the most significant event in the integrated building technologies sector at this year’s UK Construction Week. 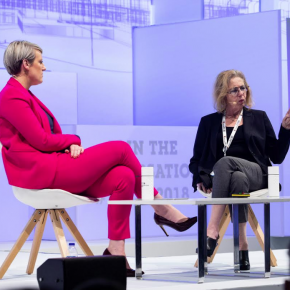 UK Construction Week has announced a new initiative for this year to help the industry compete for talent, which will see role models in the industry have their profile elevated. 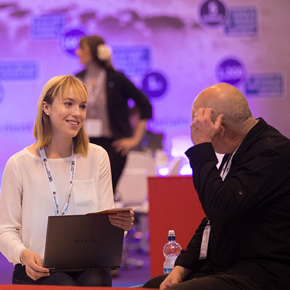 UK Construction Week (UKCW) is promoting greater equality, diversity, and inclusion with the new guide for its 600+ exhibitors. 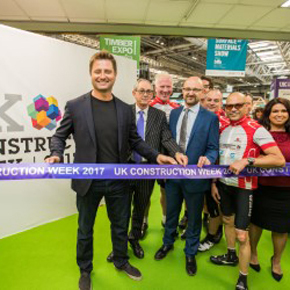 UK Construction Week 2017 was officially the most successful in its three year history, with a record 33,697 construction professionals in attendance. 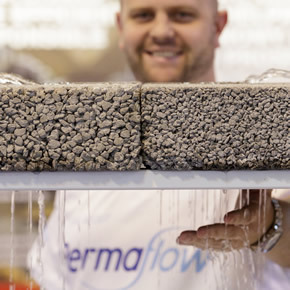 It was innovation galore at UKCW! 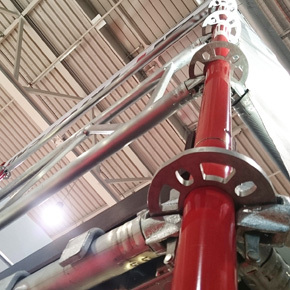 UK Construction Week (UKCW) featured a record-breaking number of visitors and product launches this year and here is an insight into the transformational products on show. 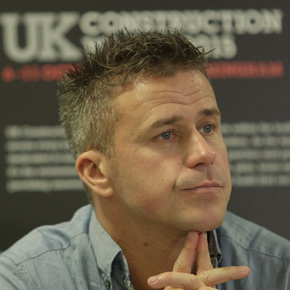 UK Construction Week may be over for another year but a survey conducted by the exhibition regarding Brexit suggests it may bring benefits to the construction industry. 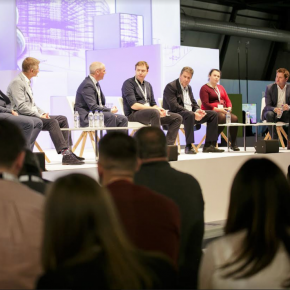 On a record first day at UK Construction Week, safe buildings, innovation, offsite and the next generation were just some of the buzz words that made it such a brilliant opening to the three day event. 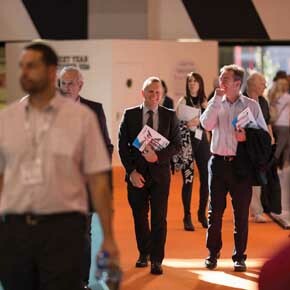 We are already well into the thick of things at UK Construction Week, with day one seeing some of the biggest names in the industry coming together at Birmingham’s NEC. 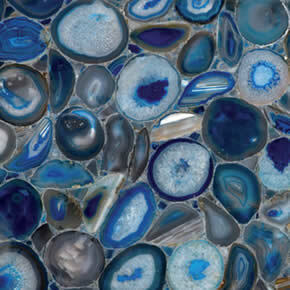 Here are some reasons as to why you cannot miss out on this great event. 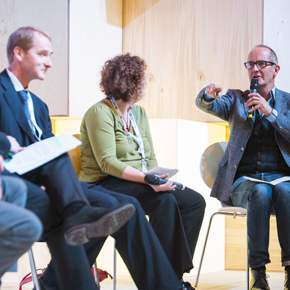 Guests at this year’s UK Construction Week can look forward to hearing how the industry plans to nurture the rebirth in social housing. 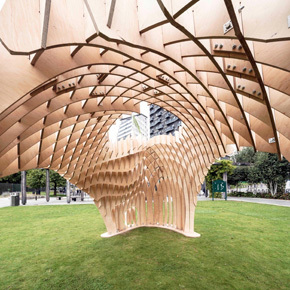 The winning design from the ‘Next Generation Design Brum’ competition will be displayed at UK Construction Week’s Timber Expo. 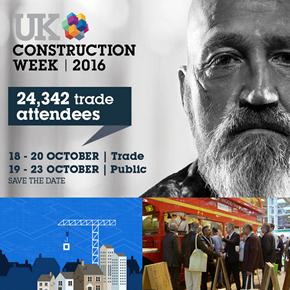 With over 650 exhibitors expected to attend UK Construction Week, it is set to be the largest gathering of the built environment community. 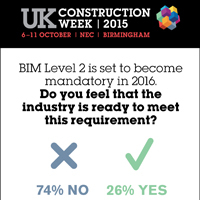 UK Construction Week is focusing on the importance of deeper awareness, understanding and immediately applicable information. 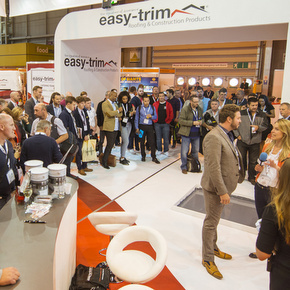 The Build Show, sponsored by Easy-Trim, is set to return to Birmingham NEC in just under six weeks. 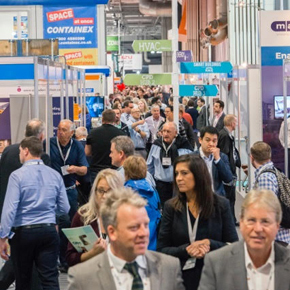 From 10-12 October, 400 market-leading exhibitors will showcase the most pioneering products, services and working practices in construction to an anticipated 35,000 visitors. 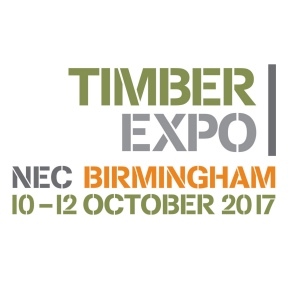 Timber Expo is set to offer visitors a first look at some of the latest products, applications and innovations from across Europe. 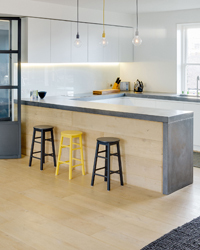 Visitors to the 2017 Surface & Materials Show will see a new Kitchens & Bathrooms Zone, and be given the opportunity to engage with emerging design talent. 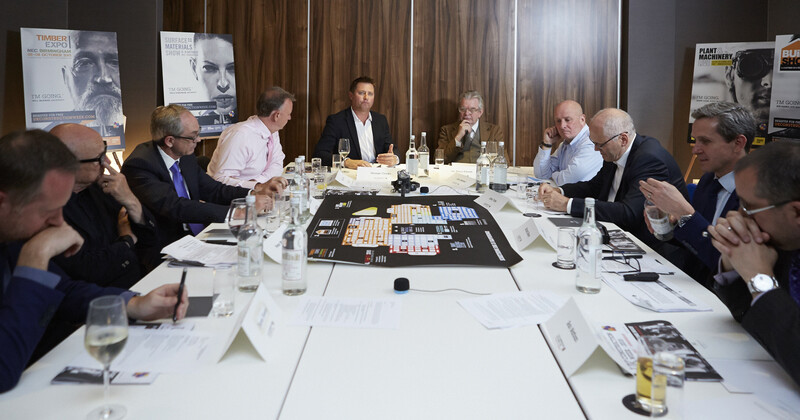 UK Construction Week has launched free unbiased, factual workshops to those in the industry, following the recent Grenfell Fire tragedy. 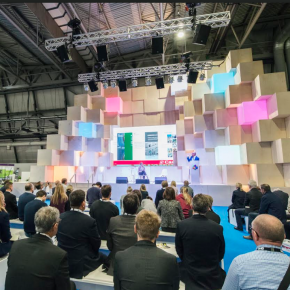 UK Construction Week has announced its return to the Birmingham NEC, hosting the largest gathering of the UK’s built environment community. 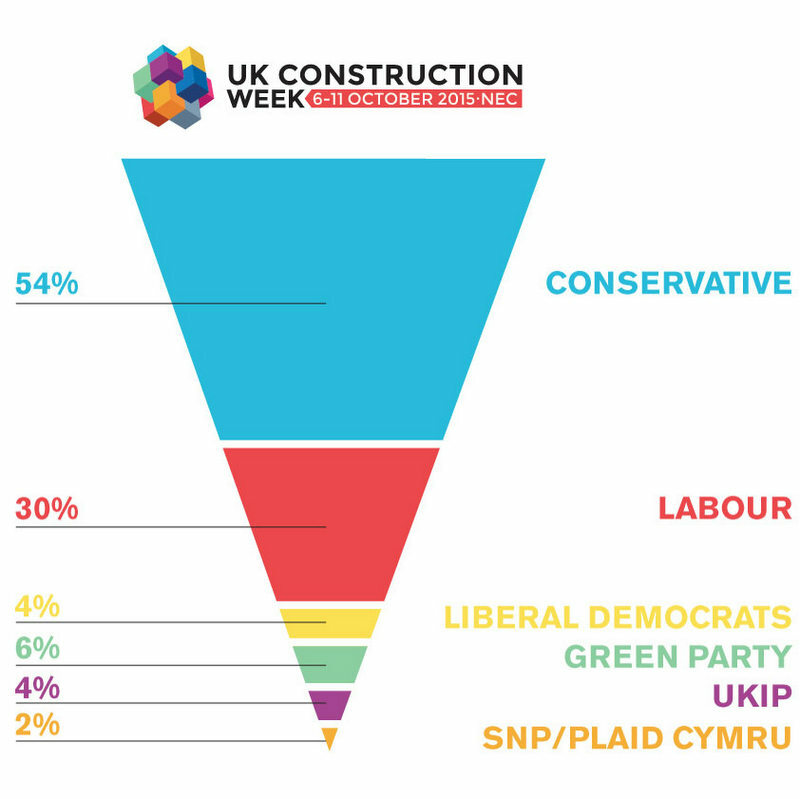 UK Construction Week has conducted a survey to uncover and tackle issues facing construction, housebuilding and skills in the run up to the Election. 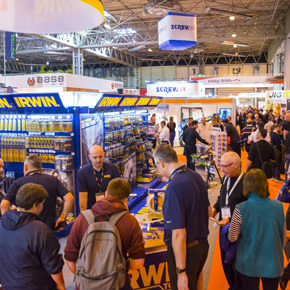 Featuring nine shows under one roof, UK Construction Week returned to the Birmingham NEC, attracting over 30,000 trade visitors and 650 exhibitors. 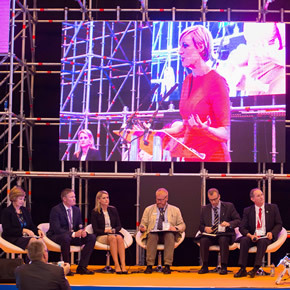 The last day of UK Construction Week took place today at the Birmingham NEC with a final day of high-level debates from the industry’s biggest names. 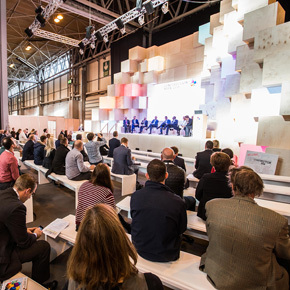 Day two of UK Construction Week at the NEC in Birmingham featured a host of discussions covering recruitment, 3D printing and the northern powerhouse. 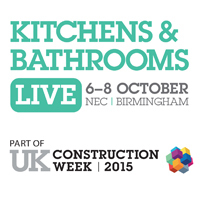 UK Construction Week arrives at the NEC! 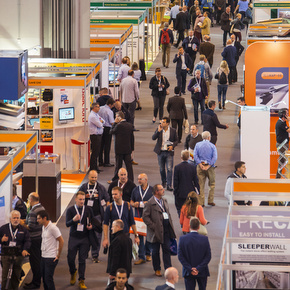 UK Construction Week has arrived in Birmingham, bringing with it the biggest names in the industry to discuss hot topics and debut the latest innovations. 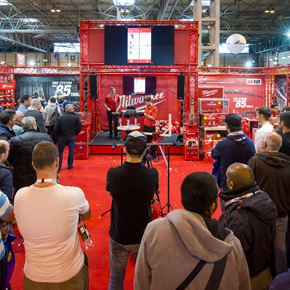 The Builders Merchants Federation (BMF) has announced that it will launch its own branded BMF Pavilion at The Build Show as part of UK Construction Week. 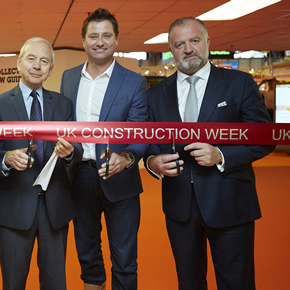 UK Construction Week will feature a free Business Advice Centre and Gamification Zone, designed to help construction SMEs to develop their businesses. 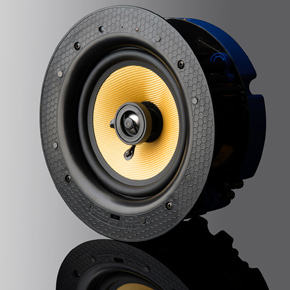 Buildingtalk previews the biggest and most innovative new products and services set to launch at Civils Expo this October. 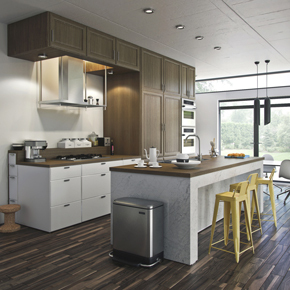 With just over three weeks to go until Smart Building 2016, Buildingtalk previews a host of the new products planned to launch at the October event. 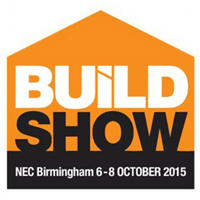 The 2016 Build Show is set to feature a whole host of new product launches, materials and services from the show’s biggest exhibitors this October. 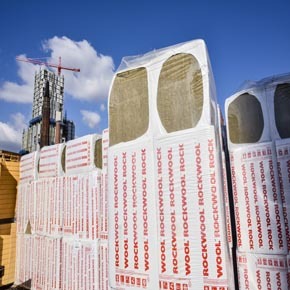 A number of big construction brands, including Owatrol and Eurotec, have scheduled new timber product launches for Timber Expo. 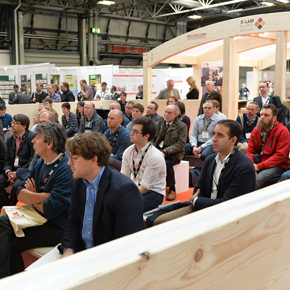 The STA will be taking part in this year’s Timber Expo to promote the industry-wide use of structural timber frame to further increase market share. 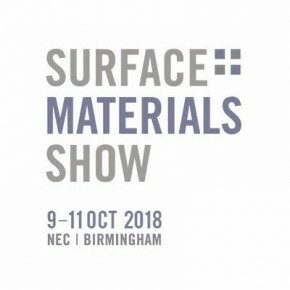 This year’s Surface & Materials Show will reflect on the challenges and opportunities a post-referendum Britain will face. 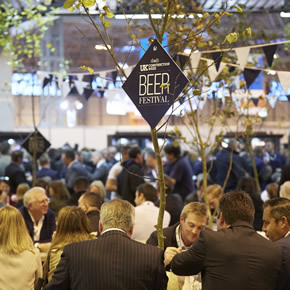 The roofing pavilion will host some of the industry’s biggest names including Kingspan Insulated Panels, Fixfast, IKO Polymeric and Proctor Group. 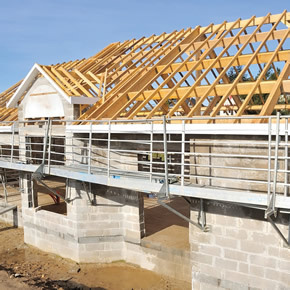 A recent survey has revealed that 74% of housebuilders consider the government’s aim of building 1 million new homes ‘unachievable’. 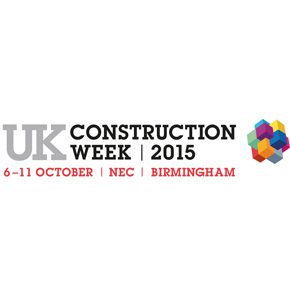 What’s on the agenda at this year’s UK Construction Week? 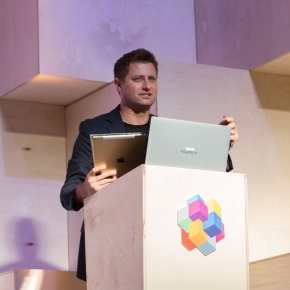 The details of UK Construction Week 2016’s main stage seminar schedule have been released, with George Clarke, Victoria Fritz & Steph McGovern set to host. 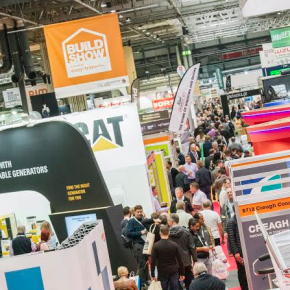 The upcoming Build Show has released details of its seminar programme, which will focus on energy, sustainability and the future of housing. 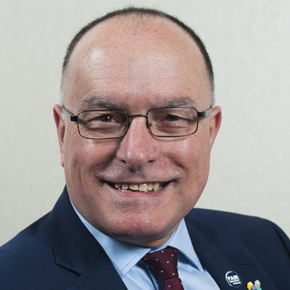 The event will bring to light the biggest issues in the civils sector including Crossrail, Northern Powerhouse and Midlands growth. 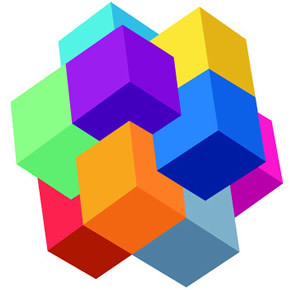 The seminar schedule for Smart Buildings 2016 has been revealed. 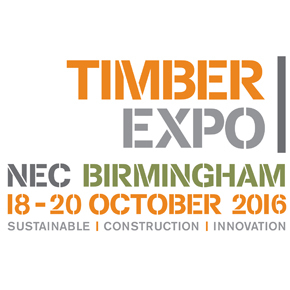 Timber Expo has announced details of its comprehensive seminar schedule as part of the upcoming UK Construction Week at the Birmingham NEC. 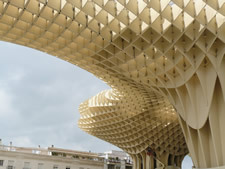 Timber Expo has added international merchants, such as Rothoblaas and Vandecasteele, to its growing list of exhibitors. 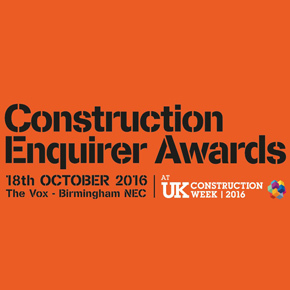 The nominations are now in for the Construction Enquirer Awards, which will take place on 18th October as part of UK Construction Week. 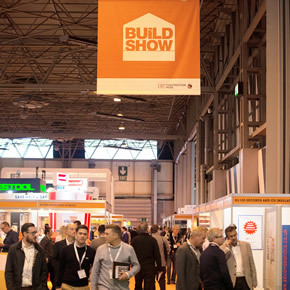 A number of industry leaders have signed up to exhibit at the Build Show, which will take place as part of UK Construction Week this October. UK Construction Week has launched a new social media campaign to celebrate the industry’s unacknowledged heroes and appeal to the younger generation. 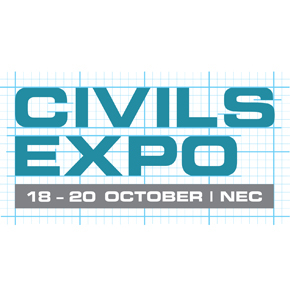 Instant UpRight, Tideway Tunnels and CEMEX are among a number of companies that have already committed to exhibit at this year’s Civils Expo. 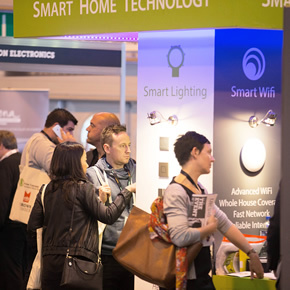 A show dedicated to integrated building technology, Smart Buildings 2016 has attracted an impressive list of exhibitors prior to its October launch. 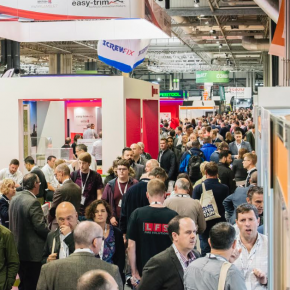 Set to return in October, UK Construction Week will host several new industry awards and an entertainment programme for its visitors and exhibitors. 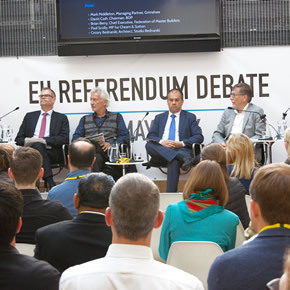 Following last week’s EU referendum result, UK Construction Week has called for a united front in the industry to face the challenges and potential opportunities ahead. 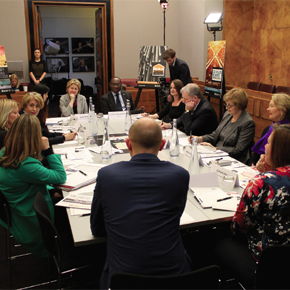 Despite a clear business case for a more diverse workforce, the industry still lacks the understanding and leadership required to address inequality. 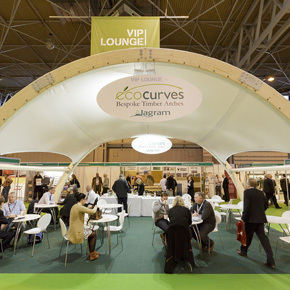 This year, the Surface & Materials Show will take place at NEC Birmingham, as part of UK Construction Week. 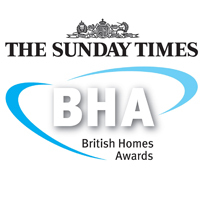 The winners of the Construction Enquirer awards will be decided by an industry vote at UK Construction Week. 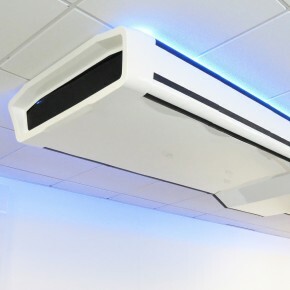 Future thinking: will smart buildings change the way we work forever? 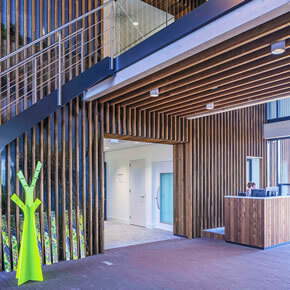 Do smart buildings represent the greatest opportunity for new, disruptive entrants such as Google, CISCO or IBM to change the way we work forever? 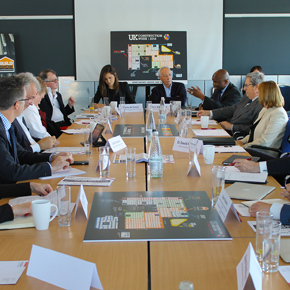 The latest UK Construction Week advisory panel discussed the EU Referendum and its relationship to trade, the housing crisis and the skills shortage. 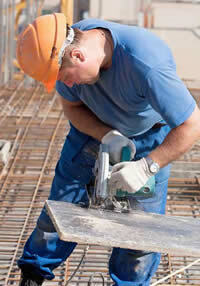 The construction industry must adopt a “factory mentality” to overcome many of the challenges it now faces. 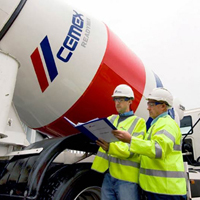 Civils Expo – the UK’s only dedicated event for civil engineering and construction – will once again take place as part of UK Construction Week. 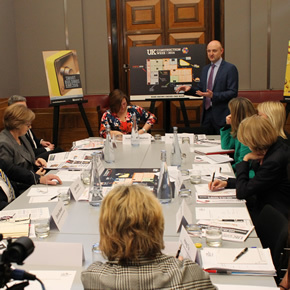 A UKCW roundtable has discovered that the construction industry lacks the initiative required to address inequality, despite calls for a diverse workforce. 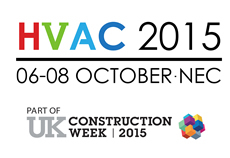 Media 10 has announced that HVAC 2016 will once again return for UK Construction Week at the Birmingham NEC between the 18th and 20th October. 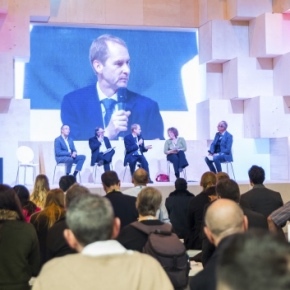 Timber Expo will return as part of UK Construction Week and will feature some of the industry’s biggest names including Steico, W Howard Group and Jagram. 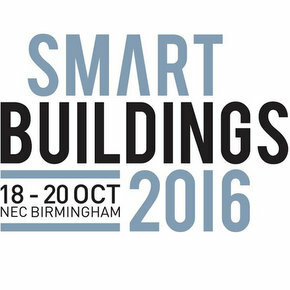 Smart Buildings is set to make a return to UK Construction Week this year: the 2016 show will take place from 18th to 20th October. 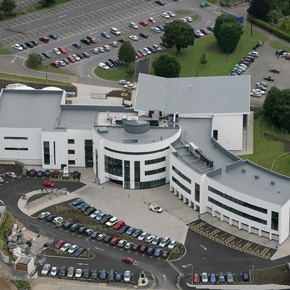 With over 10,000 construction jobs set to be created in the Midlands, UKCW will play a vital role in introducing local tradesmen to large-scale contractors. 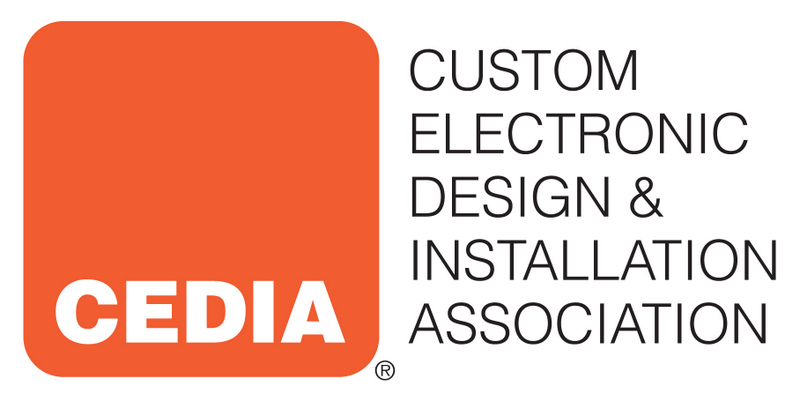 The debate put the spotlight on key issues facing the industry including energy storage, specification, off-site construction and the skills gap. 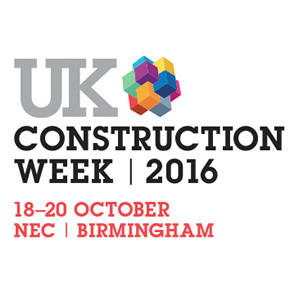 Following its successful launch last year, UK Construction Week will make a return to Birmingham’s NEC on 18th October 2016. 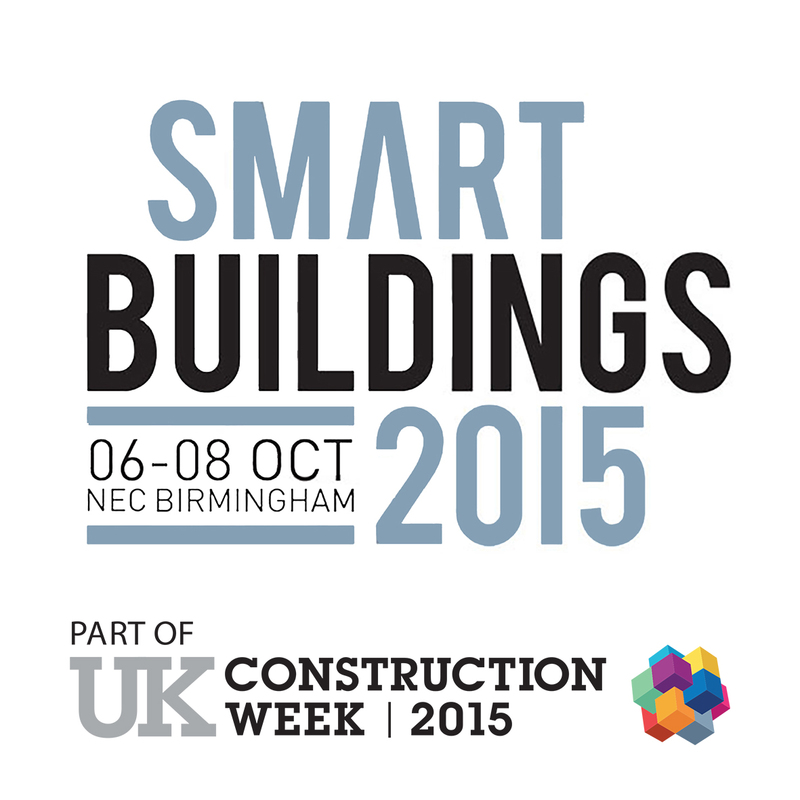 The latest on the connected digital future for construction industry – visit Smart Buildings 2016 during UK Construction Week, 18-20 October. 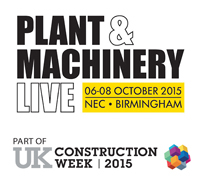 UK Construction Week will return to Birmingham’s NEC for its second edition, as revealed by Media 10. 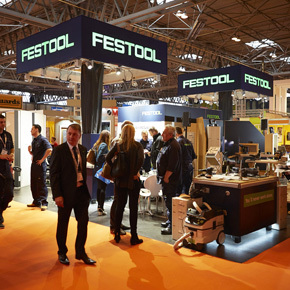 UK Construction Week concluded last week as more than 85,000 visitors and over 1,000 exhibitors attended the six-day event at the Birmingham NEC. 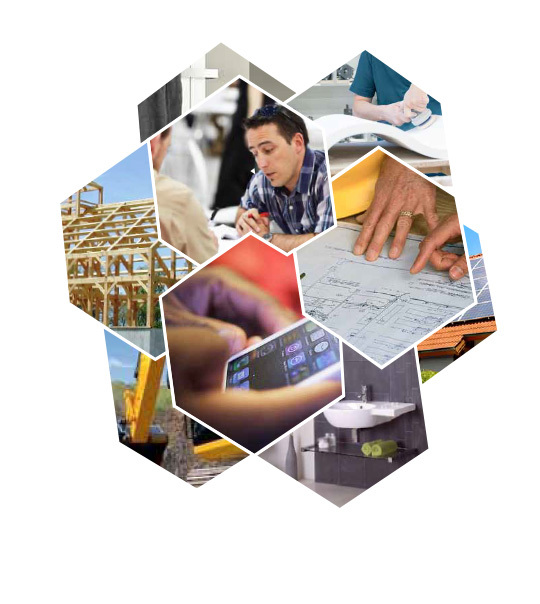 UK Construction Week’s dedicated Careers Centre provides expert advice from house builders, construction firms and other industry professionals. 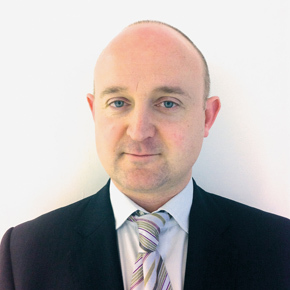 UK Construction Week’s research on the Northern Powerhouse has revealed that the construction industry’s skills shortage is threatening the productivity promised by the plan. 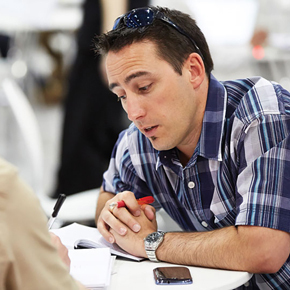 UK Construction Week will offer visiting tradesmen a host of benefits that will help them increase profits and develop their skills. 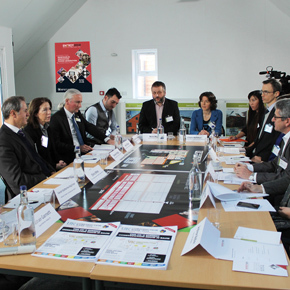 Construction professionals have called for the government to protect the industry from future recessions, as part of a roundtable discussion hosted by UK Construction Week in association with Checkatrade. 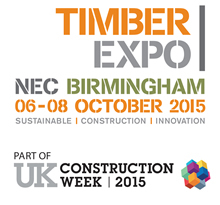 The UK’s largest Construction trade show – watch the trailer!